Looking for pallet project ideas to get busy with this pleasant fall season? You’re in luck! I’m all about DIY pallet projects lately myself. I’ve got pallet crafts for decor ideas and pallet vertical garden ideas which should cover two items on my fall homesteading checklist–indoor gardening and fall-themed decorations. Help yourself to this list of fun and easy DIY pallet projects you can do with the family. Scroll down to get these nifty fall pallet project ideas! Luckily, rustic charm is the name of the game in today’s decor ideas. You can simply make this neutral pallet porch stand, prop up some corn stalks, add some pumpkin and perhaps a chrysanthemum planter, and you’ve got yourself a standout fall porch. Any home can be cozier and more homey with personalized items on display. You can put up warm and humorous signs in the kitchen or the living room with this mini pallet display board. You can even display your family pictures and memorabilia this way. If you want a neutral theme for your rooms and don’t like the idea of paintings, this simple yet eye-catching display will definitely make a statement. Simply frame pallets in their raw form but improve on them with a bit of treatment. You can either leave them as is or add other pieces of artwork or pictures. Simply fit in pieces of pallet wood and paint a ‘Happy Fall Y’all’ message however you like it. Gather some twigs, fall blooming flowers, pumpkin, and put up this whimsical display out in your lawn and spread some warmth in this cool season! Make use of the native plants in and around your place to pull off nifty and dainty fall decor. Take this rustic fall sign with twigs, pine cones, and cute embellishment for your design inspiration. Quick and simple wood pallet projects, you say? This pallet project decor idea is definitely what you’re looking for to decorate your house this fall. All you need are pallets, foam, paint and a creative imagination–you can make your own design, you know. A well-decorated front porch is said to enhance the curb appeal of any home. This fall, make sure to put in an extra effort to your porch decor without the extra expense. With free pallets and sunflowers from your garden, you can boost your home’s curb appeal. I would have never thought that a stack of pallets would make an interesting decor piece, not just for fall but all year-round. You can paint them in any pumpkin shade from warm orange and Tuscan to a wintery white or blue. I’m just making this DIY Boo sign this fall because Halloween is just around the corner and I can easily pop this out when the time comes. You, too, can make this easy pallet project with no sweat. Greet everyone a happy fall with this easy pallet sign. Just shape it into a pumpkin and slap on some paint. For narrower pallets, you will probably have to use more to make this pumpkin shape. Both pallets and reclaimed wood can work for this project. You will need to closely fit in pallet pieces and paint them in some warm amber hues–signature autumn colors. 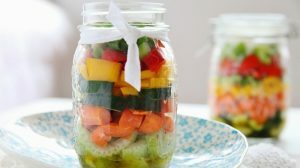 I won’t be surprised if this idea came from a fellow homesteader. This truly is ingenious and practical–qualities of a true blue homesteader. Grab some pallets, paint, and ribbons now to work this smart idea out. A few pallets and some mason jars, and you’ve got yourself some pretty charming wall decor. Pick yourself some fall blooms and pop them right into the jars to complete the set. Really, all you need to pull off amazing fall decor is a creative imagination. Of course, some inspiration will really come in handy, and these fresh pallet pumpkins could be a fun project to do with your family. This is so lovely, I can already imagine this hanging on my bedroom wall. I think I’ll be making four of this DIY pallet sign, one for each season! If you want a practical fall decor from pallets for your home, this 3-in-one fall pallet project is for you. It’s made from pallets, it’s a pumpkin design with a “welcome fall sign”, and it’s got a built-in basket which you can either use for more decor or to keep stuff in! Looking for cheap shabby chic pallet ideas? Here you go: Apply some trendy artwork to these whimsical and playful pumpkin pallets. You just have to use a bit of your imagination to pull off this easy rustic pallet pumpkin decor idea. I love directional signposts in my homestead, especially during the fall holidays. It makes guests feel there is so much going on and places to explore in the safety of the homestead. Pallets make great signposts, which you can make practically for free. 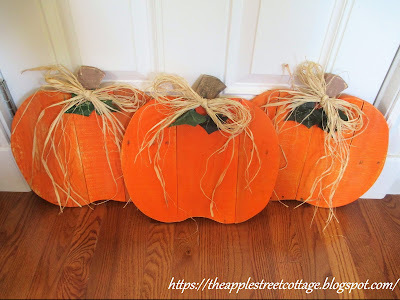 Make simple pallet pumpkin for your indoor decor with small-cut pallet pieces so nothing is wasted. This pallet pumpkin decor idea for fall should make a great piece for the fireplace mantel. Words are beautiful, and these verses sure warm the heart on cold autumn days. Make your simple pallet decor more interesting with verses and words of inspiration. I sure love this remarkably pun-tastic fall pallet sign. This is sure to make a statement both in your outdoor or indoor fall decorations. This pallet turkey should be a perfect fall pallet project with Thanksgiving just around the corner. A place beside your welcome standee by the porch should be a perfect spot for this Thanksgiving icon. Celebrate the warm colors of autumn with this hand-painted pumpkin in a pallet. You don’t have to be a Monet or a Van Gogh to pull off this artwork on a pallet for your fall decor. There you go, creative homesteaders! Some of the easiest and DIY-ed-on-a-budget pallet project ideas for fall. Even if the weather is encouraging me to stay in and hibernate, I can’t help but keep myself busy. It’s actually a great time to get active since the sun isn’t blasting at you. With the gardening season over and holidays all lined up, this should be the best time to work on some pallet projects that have long been on my list. Flex those muscles and get your creativity working with these nifty pallet project ideas. So which pallet project ideas were your favorite? Let me know in the comments below! Editor’s Note: This post was originally published on September 26, 2017, and has been updated for quality and relevancy.